Warehouse rack and storage equipment is configured to work as a critical piece of the fulfillment process… or at least it should be. Mallard gravity flow products provide simple, streamlined efficiencies for a broad range of industries, but none more fitting or challenging than the beverage and beer markets. 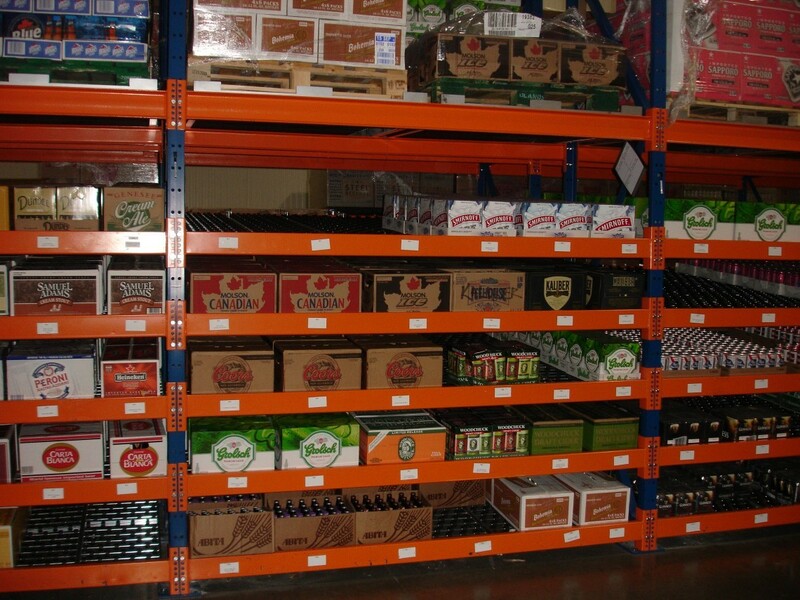 Our pallet flow, carton flow and keg flow products are designed to optimize storage density and boost picking efficiencies for pallets, cartons and kegs of all sizes. Let’s focus on kegs for just a moment… there are many varieties of kegs from short/wide to tall/thin to tall/wide. Mallard Keg Flow handles them all, each and every variety with the same consistency and efficiency. Take a look at our new keg flow 3D animation for a close look. 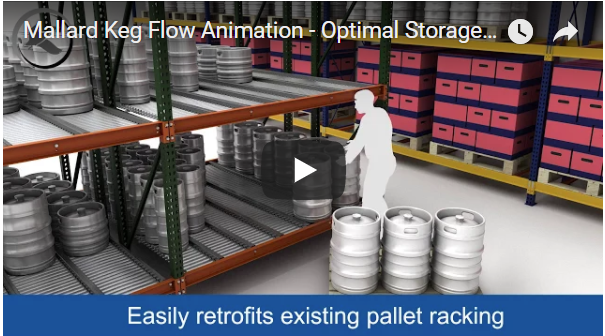 This keg flow animation video is one example of streamlined order picking… but pair that with pallet flow and you open new opportunities for efficient pallet storage for both active and reserve inventory. Gravity flow solutions increase storage density, help keep SKUs separate and organized for accurate order picking while also automatically replenishing pick faces. Gravity flow does not require batteries, charging or wiring and can support both FIFO and FILO inventory rotation. Mallard’s keg and pallet flow systems are designed to fit into new or existing pallet rack and with the added benefits of bottle pick and carton flow becoming a critical piece of your case, carton and each pick module assembly. Mallard gravity flow products work day-in and day-out in harsh, busy warehouse conditions for years with minimal maintenance required. Give us a call today to speak with a gravity flow specialist to see if pallet, carton or keg flow might smooth out your inventory processing needs. If you are attending the NBWA Expo in Las Vegas October 8-11 stop by our booth #1314 for a hands-on gravity flow experience.